Broken Links are the dead links that points a non-existing web page. In technical terms, broken links are those links which gives 404 status code to search engines. Search engines hates it because it puts the crawling thread into a dead end. It is also not good when your visitor clicks on a link on your website and lands on a dead page. Even if broken link has no effect on SEO, it is not good for user experience. So, you should always try to check and fix broken link on your website. 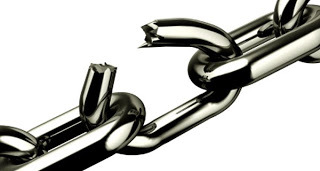 It this post, I am adding 5 online free broken link checker tools. These tools will check your website for broken links. Broken links can be either internal or external. Try to find those links and fix it. There can be several causes of broken links. Use any good broken link checker tool to identify the broken link on the web page and try to remove that link or replace it with other relevant link. 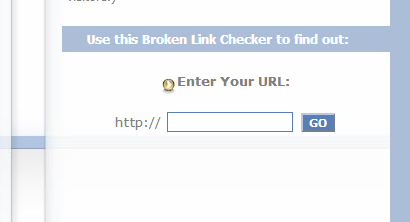 Free link Checker is a nice online tool to find broken links. Just enter the URL of your website and wait for few minutes. It will list all internal and external broken links of your website. This tool also checks for image links. 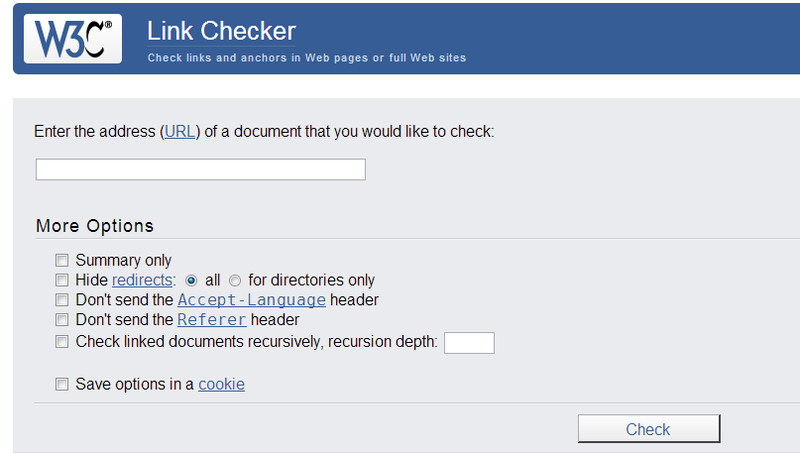 W3C Link Checker is another popular online tool that helps users finding broken links on their website. It also have few options like show only summary, hide redirects, sending referrer header etc. It gives broken links along with status and issue occurred while accessing the links. 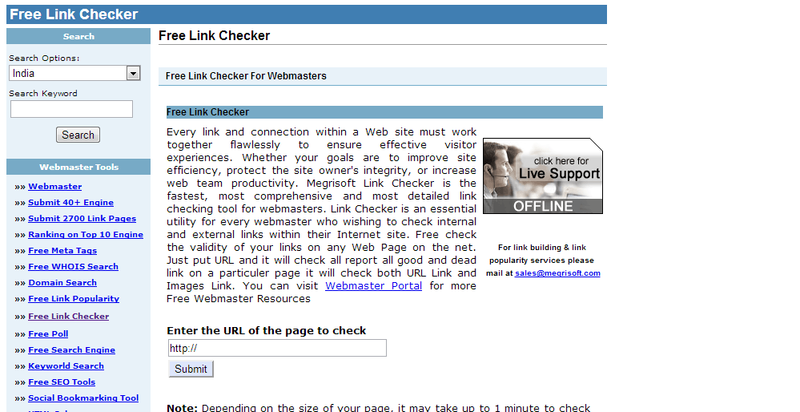 Dead Link Checker is another powerful tool that can find broken links of your website. Enter the URL and press on check button. Depending on the pages on your website, it will give you list of all broken or dead links in few minutes. Broken Link checker is another similar kind of online service for finding broken links. It is fast and efficient. This is a simple tool with no nonsense options. Just enter the URL and it starts searching for broken links. 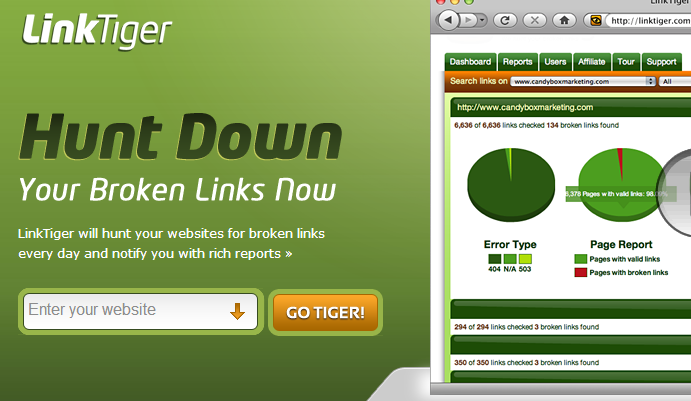 Link Tiger is another nice tool but it is only allows checking 100 broken links for free. For more than 100 links, you will have to create an account. This tool also has paid subscriptions for large website. With premium account, you also get several other benefits. These are few good broken link checker tools. If you are using WordPress, you have option to use broken link checker plugin that automates the whole process and send you daily alerts if it finds broken links. If you do not want to use a plugin, these tools are always available to try. Do you also think that broken links can harm a website? Share your views via comments.